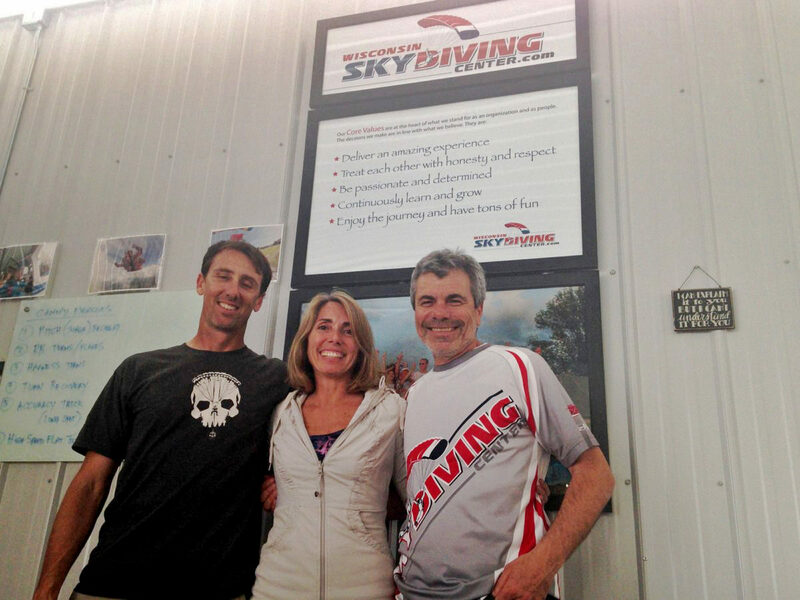 Wisconsin Skydiving Center is family owned and operated by Bo Babovic and Alex Kolacio. Our mission is to create a business focused on safety, community, and fun which is guided by our core values. Skydiving is a high-risk activity that can lead to serious injury or even death. We don’t take that lightly! Since our inception in 1998, we have earned a sterling safety record due to our focus on staff, equipment, and aircraft. This has always been our focus and will never change. Our community is like our family and we want everyone to feel welcome regardless of background, color or creed. We are focused on continually developing a healthy and positive culture to grow as people and as skydivers. Our Core Values are at the heart of our mission and gives us direction as we make short and long term decisions. We believe the best experiences in life require the elements of safety and respect. We work hard to ensure our guests feel that way in order to have fun! The world is a pretty serious place, so let’s celebrate together by making a skydive and having the time of our lives!